To What Extent Does A Reclamation Project Hurts Biodiversity? 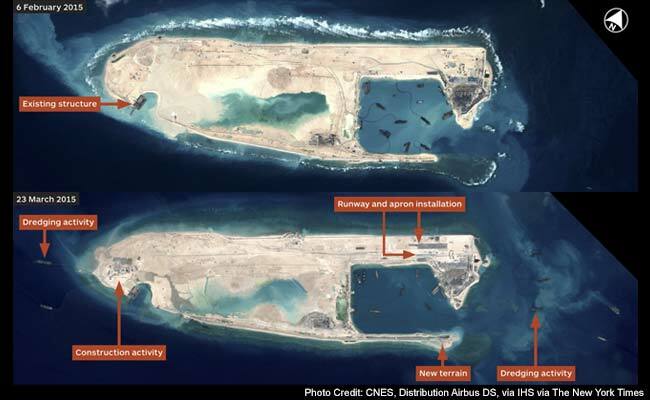 The non-stop reclamation project of China in the disputed group of islands and islets at the West Philippine Sea or the Spratly group of islands has been causing great irreparable damage to the Biodiversity in that region. The damage had been observed in the shoals and atolls that included the Johnson Reef, McKennan Reef, Mischief Reef, Cuarteron Reef, Gaven Reef and Fiery Cross Reef. Through the UN intervention, this act of defiance by China should, immediately, stop. This is the substance of the recently concluded meeting of countries at the United Nations Headquarters in New York. For a detailed discussion on this issue, please click the link hereunder. This National Geographic video on youtube shows one of the most fascinating sea creatures gathering at the Baja. Known to be residents of Mediterranean, Portugal, Ireland and Eastern Atlantic Ocean, the Mobula Rays have frequented the Baja in small school before. But scientists have wondered at the huge number at the time of this filming.